Matthew is a co-founder of the Hearts and Minds Investment Conference. He is currently the CEO of UBS Australia a role he has held for over ten years. 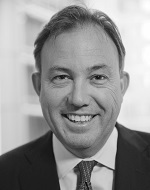 Over the past 24 years, Matthew has held a variety of other senior roles at UBS including Joint Global Head of the Investment Banking business, Head of Capital Markets and Head of the Corporate Advisory business. In these roles he has advised on many of the largest and most complex equity capital markets and corporate transactions completed in Australia. Matthew is also a Council Member of the University of NSW, Chairman of the Victor Chang Cardiac Research Institute and a Director of the Financial Markets Foundation for Children.